The speaker of Ethiopia’s lower house of parliament, who resigned last week, said Saturday that he quit because of “disrespect” of his ethnic group. Abadula Gemeda, a member of the Oromos, the country’s largest ethnic group, announced last Sunday that he was stepping down after seven years as speaker of the House of People’s Representatives. He is one of the highest-ranking government officials to resign since the Ethiopian People’s Revolutionary Democratic Front (EPRDF) coalition took power in 1991. 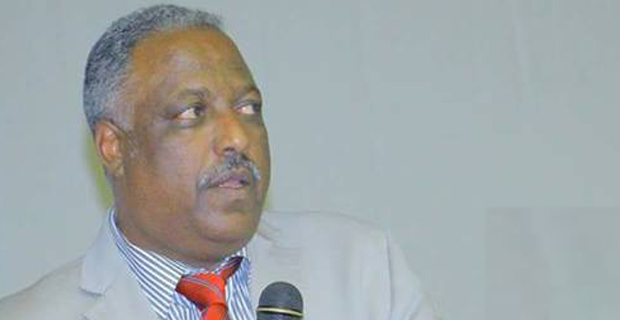 A former army chief of staff, Abadula is also a founder of the Oromo People’s Democratic Organisation (OPDO) C, which represents the Oromos within the EPRDF. Oromos led a wave of anti-government protests that began in late 2015 and were only quelled after more than 940 deaths and the imposition of a 10-month state of emergency, and distrust of the EPRDF still runs deep. In comments carried by the state-affiliated Oromia Broadcasting Network, Abadula said he was dissatisfied with the EPRDF’s treatment of his people. His resignation came at the start of a turbulent week in Ethiopia, which saw protesters return to the streets in several towns in Oromia, the largest of the country’s ethnically based regional states. On Wednesday, three people were killed and more than 30 injured at a protest in the city of Shashamene, while another protest in the town of Boke left another three dead and three more injured, spokesman for the Oromia regional state Addisu Arega said in a post on Facebook. His accounts could not be independently verified, and the cause of the deaths remained unclear. An official in the southern Borena zone told AFP the four people were killed and 20 injured on Thursday after they tried to stop a convoy carrying what they believed to be weapons destined for communities in neighbouring Somali region. A separate conflict started last month along the border between the Oromia and Somali regions, leading to hundreds of deaths and the displacement of at least 67,800 people from the two regions.